"On the Road in Morocco! Yet again, another great Adventure-Café production!" "Thanks for a Great Weekend! What a good bunch of people what luck with the weather!" 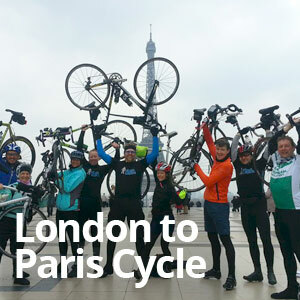 "the leaders looked after us, they were in our opinions absolutely terrific, and very knowledgeable"
"thank you for making our bike trip to Paris such fun. 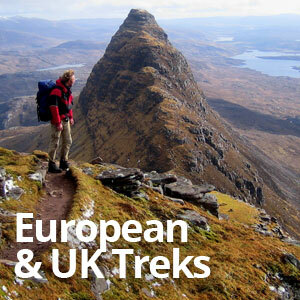 Ten 10/10 for your organisation & map reading!" "thanks to Adventure Cafe for their fantastic organisation of the 3 peaks challenge!" "Thank you for such a fantastic weekend, I don't think I have ever enjoyed myself so much"
"I don’t think I would have completed the event without the encouragement of our leader!" "thank you very much for an absolutely awe inspiring weekend!" "brilliant job you did this weekend - all the squelchy participants were singing your praises!" "In the future TNS will not hesitate in contacting Adventure Café for any team building activities!" "thanks to them, and I know that everybody was full of praise for their efforts and enthusiasm!" " I really enjoyed the trip and found the group varied and interesting. The route chosen was superb!" "Thank you Adventure Café for a terrific weekend and wonderful experience!!!" "Climbing Kilimanjaro with Adventure Cafe was one of the most exciting, challenging trips!" "Give me Dartmoor every time! Love it!" "We felt the need to express our thanks for your excellent organisation of the trip in Tanzania!" "Thanks for such a fantastic and unforgettable week! A Big thankyou - I Can say no more!" "An extra thank you for your encouragement and help when I was on my last legs there!" "I had such a great time in Chamonix - such a good experience…"
"We had a great trip, angst and all, and lots of laughs so thank you for that!" "I want to thank you for all your hard work at the weekend!...I greatly enjoyed the trip"
"Just wanted to say thanks to Adventure Café for organising such a great Welsh 3000s weekend." "I would like to say that the whole event was fab from start to finish - very well organised"
"It was an awesome experience and Adventure Café made it so - I will definitely be back!" "The weekend was a great success - thank you all very much." "Many thanks for helping make this challenge a truly unforgettable and amazing experience"
"What made it especially good was your attitude and professionalism. Thank you." "Just to say thanks for last wknd, the whole thing was very good, well organised and enjoyable"
"I would like to thank both of them for all their hard work, constant support and professionalism"
"I would definitely recommend this trip to anyone....I was actually sad when it came to an end." "Never thought I would admit to miss the pains & aches from our Picos Mtns trip! But I really do!!" 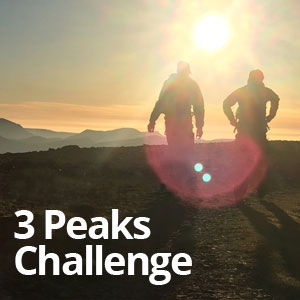 "Thanks for a great 3 Peaks Challenge! Really well organized!" "Really big thankyou - I had a fantastic time, coupled with great company and a beautiful setting"
"Just wanted to say a thank you to your guys that ran the event. All top drawer." 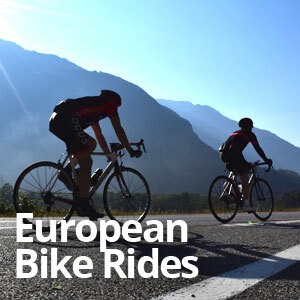 "As usual it was a pleasure to take part in an Adventure Café event"
"the London to Paris was cycle absolutely fantastic, the support from start to finish was excellent"
" the Adventure Cafe guys made it a great experience." "Will and I really enjoyed ourselves and you all made it relaxed and fun ..."
" thank Adventure Cafe for organising a great event for us. It went very smoothly..."
" a great trip through the Knoydart. Lots of fun, gruelling at times"
"big thank you to Adventure Cafe for the professional set up and effort to lead 45 cyclists"
"The success of the event must be attributed to all three of them whose attention to detail"
"A huge thank you to you and your team for a fabulously supported event"
"The trip was great and I thoroughly enjoyed it. Thank you. You’ll be seeing me again!" "Thanks again for the great job you folks did with the organisation and support of another fab event"
"Just a quick thanks for an amazing cycling trip. Paul and I had a great time"
"I cannot express enough how well I thought the event was organised. " "It was an absolutely amazing experience,"
" the Adventure Cafe team are brilliant at providing expert guidance and, importantly, safety"
"Honestly your guys were amazing. Your guys somehow managed it brilliantly." "thank you for the stellar few days - you and your team did a phenomenal job!" "slick organisation from start to finish - quite an achievement when herding 150 riders over 260kms"
"You guys did a truly awesome job today getting us all safely around"
"I have had MANY emails this morning telling me how fantastic yesterday was"
"thank you to you both and all of the Adventure Café team for making this so successful! " 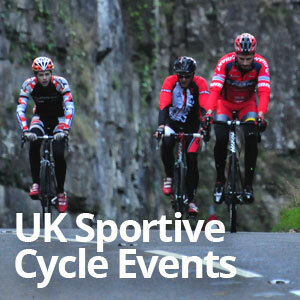 "I think the experience was what it was due to the time you invested with us prior to the event"
"this one certainly comes out top of the pile"
"The feed stops were brilliant and the support from the team at Grand Tour Cycling was 100%"
"The event was a great success, with excellent feedback!" "Everyone who was on the ride has nothing but positive words to say"
"for me it could not have been better"
"That was no.7 of adventure cafe trips for me"
"I would like to say how much we all appreciated the amount of hard work and diligence "
"Thanks to all of the Adventure Cafe Team"
"Thanks guys loved every minute"
" honestly it was so smoothly done "
"Well done on doing a fantastic job (once again)"
"I'd like to say a big thank you for the professional manner in which the trip was organised and run"
" A terrific cycling event for us...with slick organisation from start to finish"
"Thanks to you all – it was an event that will live with us for the rest of our lives." "AC did an incredible Job today and you made the day a fantastic success"
"Excellent Tour of The Douro Valley"
"An Incredible Amount of Fun"
"Most enjoyable ride experience I have ever had." "Adventure Café did a great job of organising and running this amazing ride"
"A seamless and very well organised experience." "Thanks for an amazing trip"
"Awesome route, very well organised." 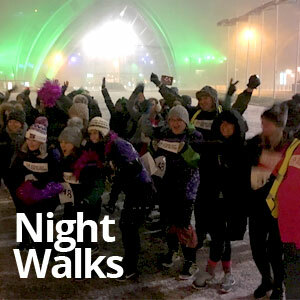 "A hugely well-planned event that resulted in a fantastic amount raised"
"It was an absolute pleasure to work with them. 10 out of 10!" "The team are just amazing"
"Cannot thank the Adventure Cafe team enough for all their organising and support"
"It was brilliant and I only heard positive feedback from the team"
"This weekend for the group was fantastic and everyone massively enjoyed it"
"It was an amazing experience, such a sense of pride!" "46 people, all mixed abilities and you guys got it perfect"
"The press had the most amazing time and a lot of that was down to your support with all the planning"
"Thanks so much to you and the team for overseeing and running the event yet again"
"Thank you so much to Adventure Café for keeping us safe"
"The event was well organised and the instructors were really friendly and helpful"
"Just about managed to stay upright in the mud, we had such a laugh"
"Everyone had a great day and are really grateful to you for delivering a fantastic event"
"I couldn’t think of a better setting or group of people to abseil off a quarry with!" We offer high quality Corporate and Charity adventure challenge events including treks, bike events, climbing, abseiling, canoeing and more. We operate in the UK, Eastern and Western Europe and specific long haul locations – including Morocco, Nepal, Tanzania, Peru and India. ...or, why not call us to discuss tailor made events, ideal for Charity Corporate Partnerships. Our team of specialist Challenge Leaders in the office thrive on devising the most awesome events for your client. Adventure Cafe is a specialist organiser of Charity, Corporate and Open Challenge Events for both the public, individuals and for private groups. The listing here shows you our upcoming open events which may be booked by anyone with suitable fitness. For an even greater selection, please click the link at the bottom of this list.